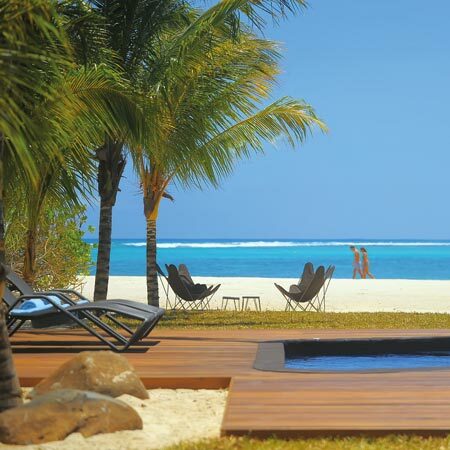 Dinarobin is a dream come true for families holidaying in Mauritius. 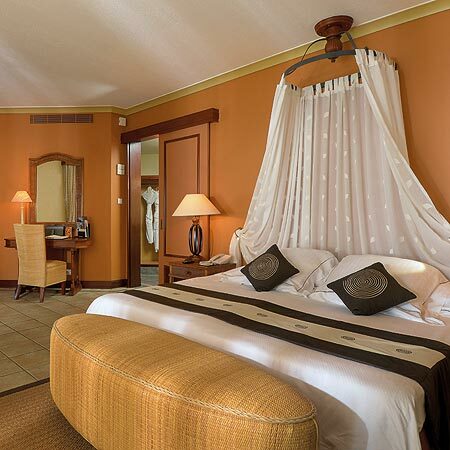 The hotel features beautiful accommodation in romantic suites which provide plenty of space for parents and children alike. Parents can relax in complete peace of mind knowing that the team who attends to the children is perfectly trained, welcoming and attentive to their needs. For parents who want more privacy during their holidays, Family Suites featuring two bedrooms and two bathrooms are available on request. 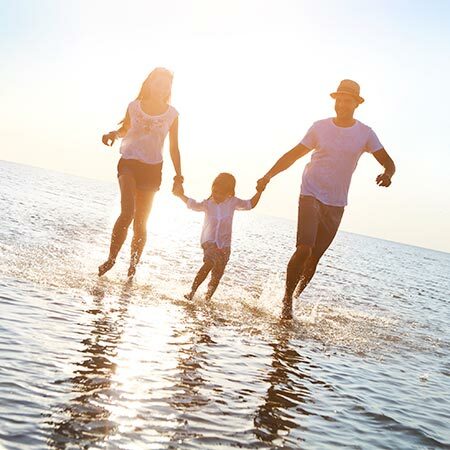 These categories come with extra perks for families travelling with babies. 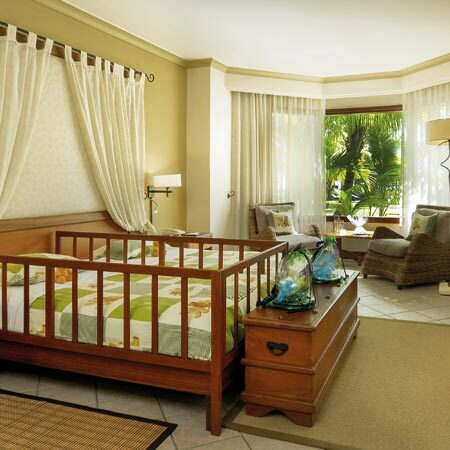 Upon arrival, a complimentary baby welcome package is provided and includes a baby bath on a stand with a changing table attached, a soft hooded towel and bath products, a bottle warmer and a sterilizer. 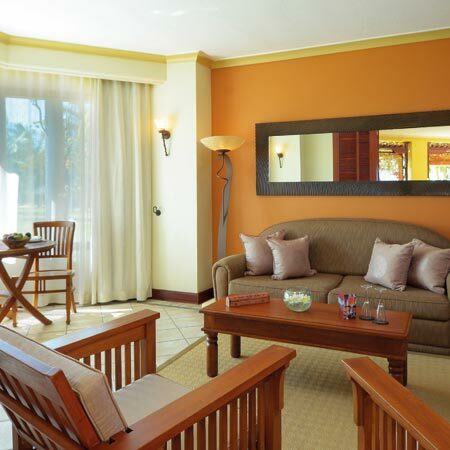 The hotel's magnificent tropical gardens provide the perfect setting for children to let loose. Every parent knows how much they love to play with water. At Dinarobin, in the unlikely event that they get tired of the beach, there are five superb garden pools surrounded by wooden decking only feet away from the suites! Pure heaven on earth for both parents and children! When parents want to enjoy a little time of their own, they can ask for a private baby-sitter or leave their children in good hands at the resort's magical kids club. 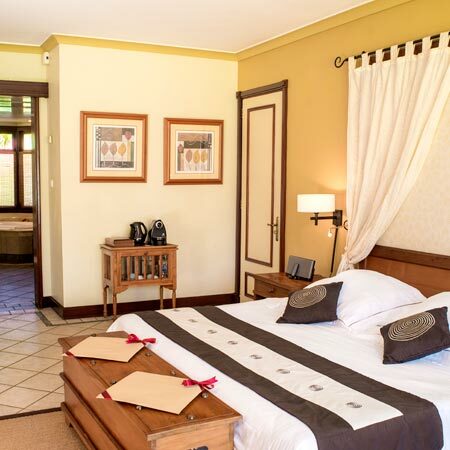 Equipped with a beautiful wooden playhouse, it is conveniently located close to the beach. In this secure environment, not only will children make new friends, they will also take part in the many fun activities specially planned for them by the professional staffs! 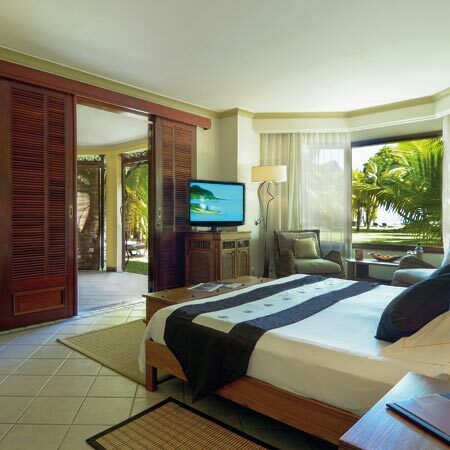 This spacious yet intimate suite faces the sea and offers a beautiful view onto the hotel's tropical gardens. 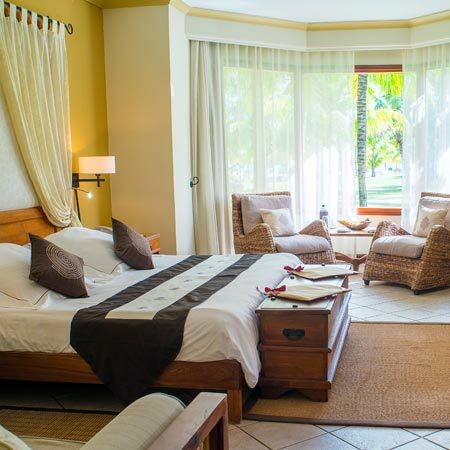 Bordered by a magnificent white beach, the Dinarobin Villas are located on the most spectacular part of Le Morne peninsula, offering the perfect holiday setting.